Self–Care is good for you. You know it deep down, but you find yourself pondering when it comes to doing it. 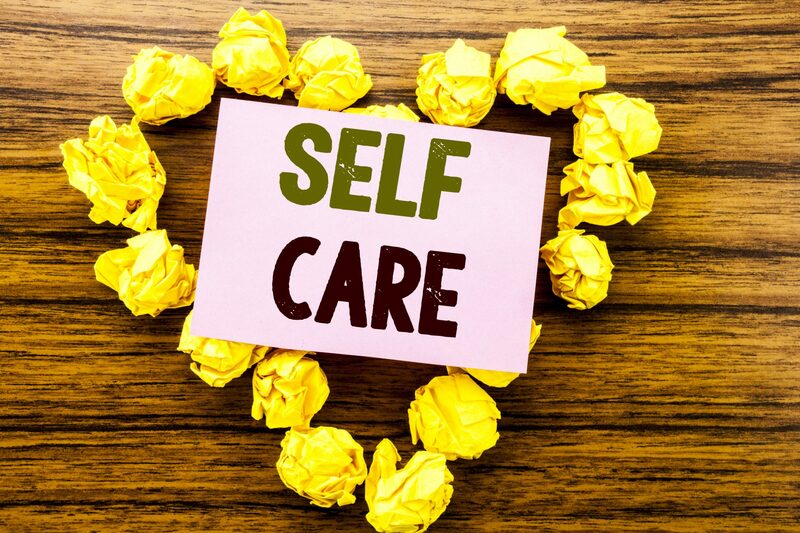 In the Health and Wellbeing magazine an article outlines how to get to grips with self-care. I thought I would share some of those points with you, so you can begin to practice looking after yourself. We live in a time where everyone is “on the go”. The thought of slowing down and having some time to yourself is probably the last thing on your mind. Research shows however, that over 50% of employees for instance in one company experienced burn out. Basically, you can become tired, irritable, experience mood swings, gained weight and generally lose enthusiasm for life. If you have felt any of the above things, you will love to know that it can all be reversed and without too much cost. Whatever self-care is suggested, you have to pick what YOU want to do and fit it in with your own needs. The real point is that you do something to take more care of yourself. Detox from Technology: How many times have you laid in bed late at night on your iPad or phone reading emails or checking social media? When you go to bed, switch off your phone or iPad or put it into airplane mode. First thing in a morning, for the first hour, no screens. Instead spend some time enjoying breakfast, planning your day and generally devoting time to you and your plans. Meditation: If you don’t do meditation, I highly recommend you spare some time to do it, even if for only 10 minutes. It’s an emotional experience. I use an app on my phone called Calm. However just sitting with your eyes closed and listening to easy music can achieve the same thing. Try it, you will be amazed how calm you feel afterwards. Keeping a Journal: Not everyone likes to write things down but there is a lot of power putting things down on paper. Personally, I have always found it therapeutic to write things down. You can track what you write and see if you have negative or positive thoughts. It is a bit like having a diary when you were a teenager, and no one could read it but you. Spa Time: You can have a wonderful relaxing time in your bathroom away from everyone. Get that face mask on, have a hot bath with candles around and meditate while relaxing. Look after your energy: Make sure you are eating healthy foods. Plenty of fresh, nutritious foods that give you energy. Go for a brisk walk every day in the fresh air and get away from screens. If you want, you could join a yoga class or Pilates. Personally, I love to walk my dogs. 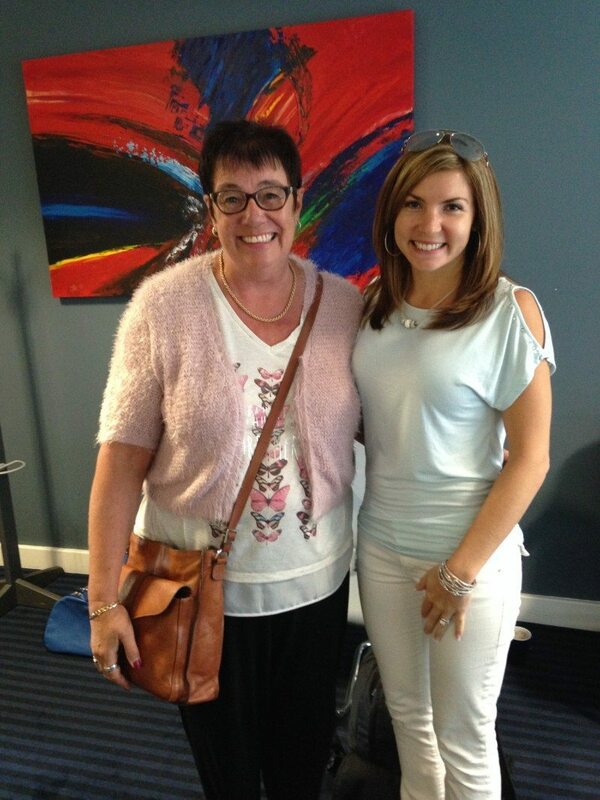 Calming and re–energising – I have two really good exercises for this that I share with coaching clients. 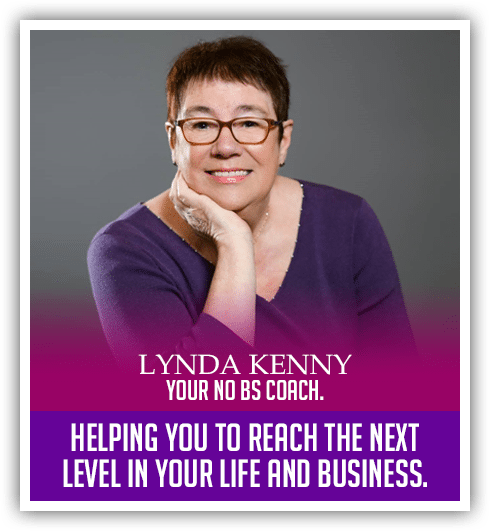 Email me at lynda@lyndakenny.com and I will share them with you. The above ideas are simple and not time consuming to put into your life. 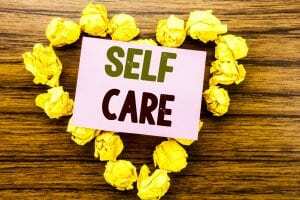 Self-care is so important for your health and mental well-being. It’s got to be worth it to avoid stress and burnout. I have just introduced essential oils into my daily life and I also make sure I take vitamin supplements to boost my immune system. In fact, anything that helps boost my physical and mental energy is worth it. Having an auto-immune disease, its essential for me to do this. 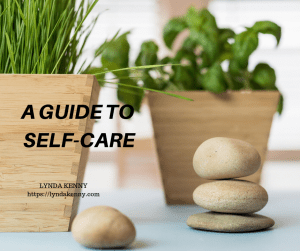 If you enjoyed todays article, A Guide To Self-Care, let me know how you get on. I love to know if what I share helps someone. 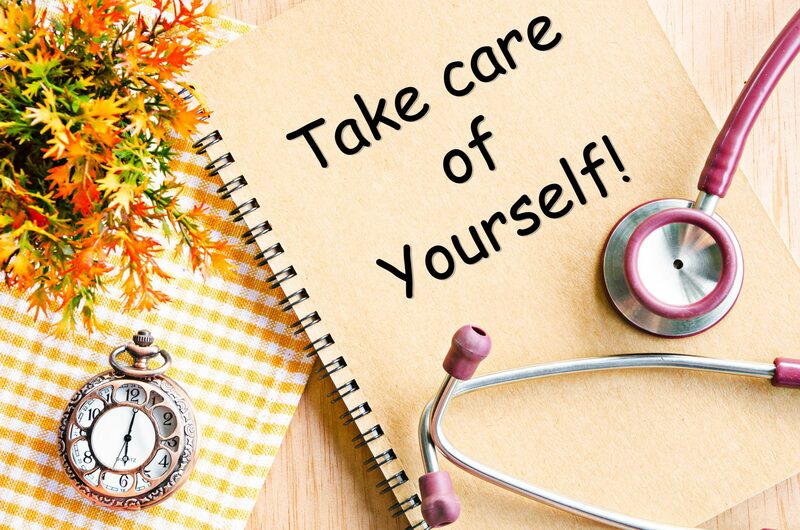 Remember, your health and well-being is important so you can avoid stress, burnout and overwhelm. P.S. If you are ready to reach the next level in your life and go that one step further, I offer a complimentary 20 minute call to discover how I can best help you. Reach out to me at lynda@lyndakenny.com or go to my calendar HERE and book some time with me.